Contrary to Donald Trump’s incessant anti-immigrant rhetoric, the truth is America would not have been possible without immigrants. Indeed, immigrants not only helped build what Ronald Reagan once famously called a “shining city upon a hill”—they’ve sustained it. And no amount of bluster will ever change that. Immigrants introduce specialized skills. In fact, some of America’s most profitable and celebrated companies, including Budweiser and McDonald’s, were either founded by immigrants or offspring of immigrants. Likewise, thousands of new immigrant-founded businesses venture into the American marketplace to compete and accommodate consumers each year. According to a report by Partnership for a New American Economy, roughly 40 percent of all Fortune 500 businesses can directly or indirectly trace their beginnings to somebody that immigrated to the United States from another part of the world. These businesses have produced millions of jobs and countless services. In addition, immigrant-founded businesses sell $857 billion in goods annually and employ almost 4 million workers. Critics argue undocumented immigrants abuse domestic social programs such as Medicare. But a study in the journal Health Affairs found undocumented immigrants pay $13.8 billion more into Medicare than they receive, resulting in a surplus. By comparison, native-born residents receive $30.9 billion more than they contribute, resulting in a deficit. Other critics correlate crime and immigration as if artificial lines in the sand determine a human’s propensity for wrongdoing. 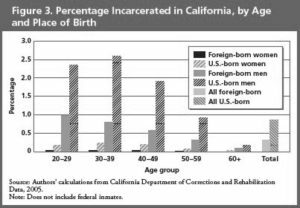 But one study by the Public Policy Institute of California—a state that is home to one of the highest undocumented immigrant populations in the country—found native-born males are 2.6 times more likely to end up incarcerated than their foreign-born counterparts (10 times more likely when including local jail populations). The true danger to native-born citizens is not the foreign-born citizen, but rather the current U.S. citizenship process, which continues to remain unnecessarily bureaucratic and convoluted. As a consequence, applicants often fall through administrative cracks or linger on paperwork for years, incentivizing unlawful or desperate alternatives. Indeed, history is full of examples of underground economies that created unintended social consequences. Look no further than prohibition and the rise of organized crime during the 1920s. It’s only reasonable to assume public safety and health risks will increase as human smuggling is encouraged and prolonged. For this reason, rounding up 11 million undocumented immigrants is impractical, and calls for increased government spending are irresponsible in a nation that’s already drowning in debt. Building a wall merely translates into yet another pointless—taxpayer subsidized—government project. Moreover, most immigrants not only reside in the U.S. lawfully, but many of those who reside in the U.S. unlawfully simply overstayed their visas. The average immigrant, both documented and undocumented, comes to the United States for freedom and opportunity: a chance to flee economic or political hardship and take part in the American dream. Native-born citizens and lawmakers should welcome them, not disparage them. Immigrants are what made America great in the past. And immigrants are what will make America great again in the future.